A poster from the nonprofit Facing History and Ourselves, prominent in our office, asks us this question every day. Inspiring ways to answer that simple yet profound question surround us as well—through the work of the emerging leaders in science and society we support as well as vital organizations like Facing History, which provides historical and analytical tools to confront hatred and bigotry. A provocative question is itself a tool—a scaffolding that can elevate disparate ideas about how to move forward in the face of complex, persistent problems, or focus energy and resources toward solutions. Scaffolding provides the support and structure needed to grow or reinvent, much as it does for construction projects. People can provide scaffolding too. Many people have supported the Rita Allen Foundation’s work and evolution over the years, but among the first is the scientist, doctor, administrator, and public health pioneer Howard Hiatt. Dr. Hiatt provided the seed of the idea that grew into the Rita Allen Foundation Scholars program—its inaugural class was named in 1976, and it continues as a core program of the Foundation today. He identified the transformative potential of providing early-career scientists with the freedom and encouragement to pursue high-risk, high-promise approaches to basic biological questions. 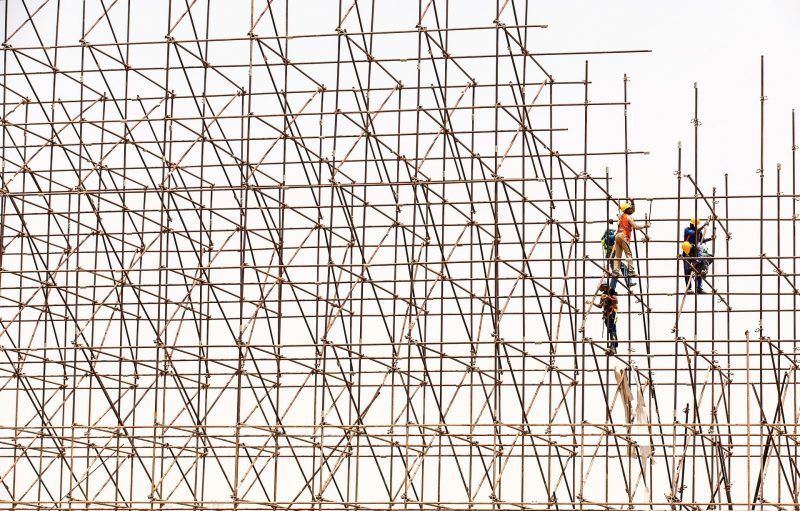 As we reflect on how we as philanthropists participate in positive change, we see the work of scaffolding as a critical part of our purpose as well. Ten years ago this January, a boost in resources allowed the Rita Allen Foundation to expand its reach. 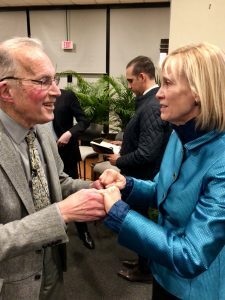 Building on our own frameworks of learning, leadership, and shared values, shaped by Dr. Hiatt and others, we look for ways to help leverage the potential of the ideas, organizations, and fields we support. We look for gaps and opportune times when targeted attention to capacity, knowledge, and structures will make the greatest difference. A few themes from our work to date continue to resonate as we look ahead. The power of science to improve our quality of life is profound—as is its ability, as a deeply human pursuit, to bring us together in shared wonder and benefit. We are committed to joining with others, including through the work of the Science Philanthropy Alliance, to ensure that resources from private and public sources are in place to support curiosity-driven science into the future. Our democratic values and institutions are under acute strain, as media, culture, and technology rapidly shift, often laying bare gaps in civic education and connection. Following productive learning around the Misinformation Solutions Forum, we continue to bring together diverse problem solvers working to address the conditions that fuel the influence of misinformation on one hand or productive engagement around information-seeking on the other. We can, of course, go farther together. We have been honored to help the seeds of Feedback Labs and the Fund for Shared Insight grow into a robust feedback movement in the social sector—where there is now expanding recognition of the power of feedback in creating lasting, positive change. We see the need for related coordinated and funded efforts across every area where philanthropy seeks to make meaningful change. Connecting our commitments to both science and civic engagement, we are gathering partners to collaboratively foster a culture of civic science—envisioning a movement of scientists, scientific institutions, community leaders and members, philanthropists, and journalists committed to deep, meaningful engagement with complex, emerging science that is profoundly connected with the future of our society and communities. As we look to the future, we reflect with gratitude on the people and communities that help us move forward. Together we can ensure that it is a future where people, ideas, communities, and discovery across boundaries can thrive.